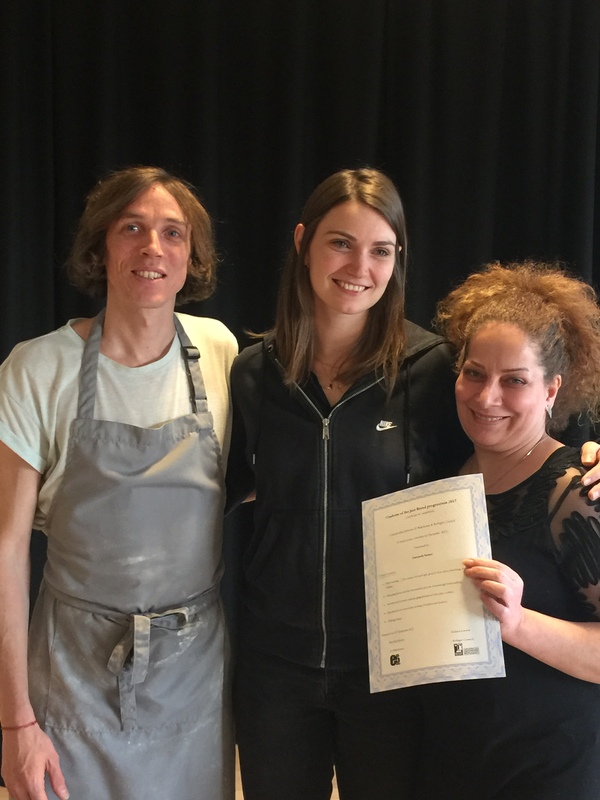 So at the end of December we celebrated the end of our latest course. Apologies for the delay in getting around to publishing this blog post but it’s been a busy time. 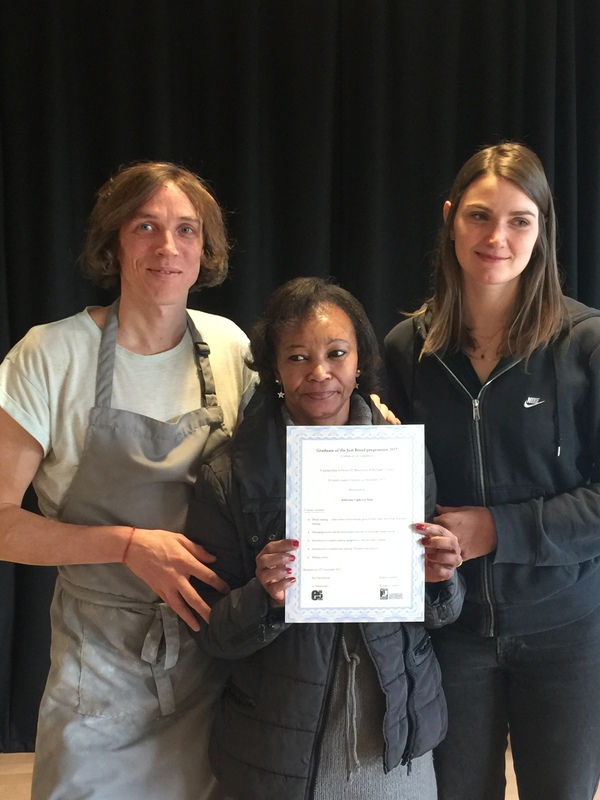 We held our graduation day at the wonderful new E5 Roasthouse in Poplar. If you haven’t been there yet, please do make the effort to visit. It’s a lovely bright space with great food, great views over the park and delicious coffee that’s roasted on site. 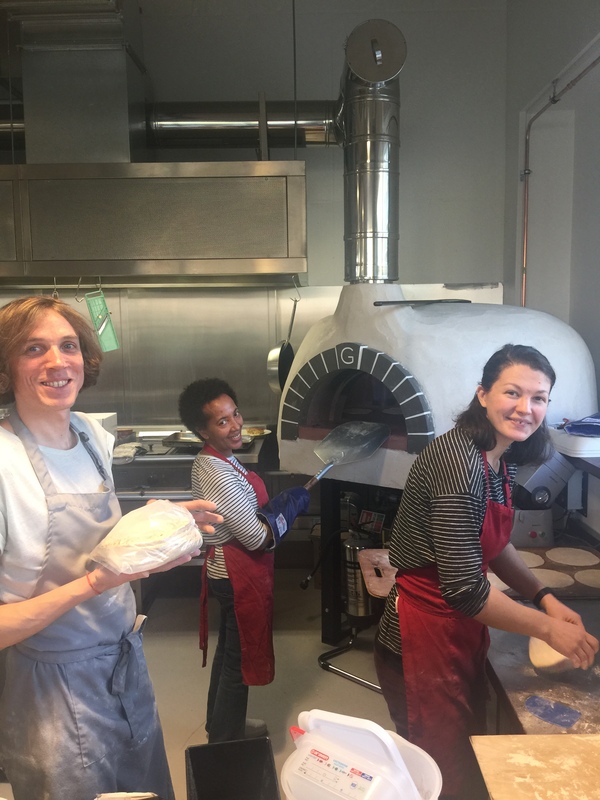 If that weren’t enough, we say with much pride that some of the Just Bread trainees have now taken up paid work there cooking, baking and serving…..so we doubly love this place and thank E5 for making it happen. Our celebration was such a wonderful event where we ate together, shared life stories, reflected on the course, and generally just enjoyed each other’s company. As with all of our courses the last day is inevitably tinged with some sadness. We have all grown so close to each other over the time together and good friendships have been formed. It’s always really difficult to say farewell to those wonderful people we’ve loved seeing every week. 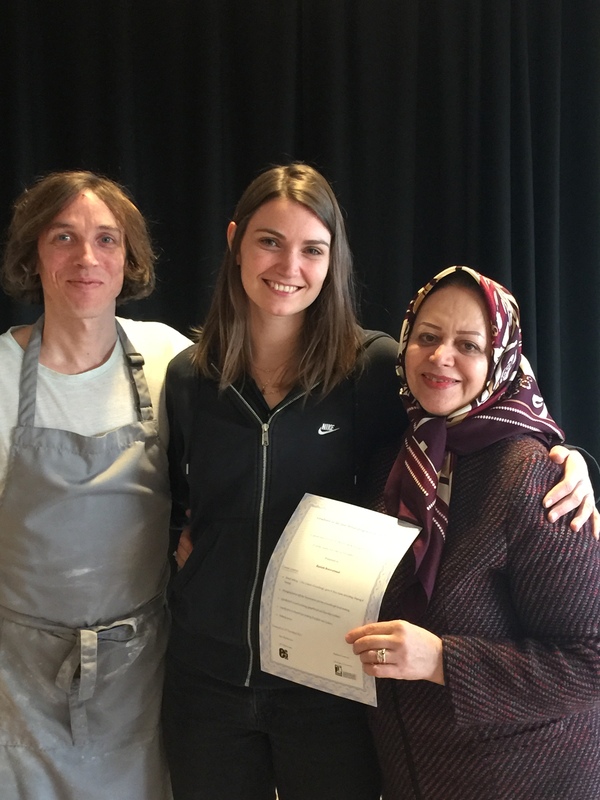 After enjoying our food, accompanied with the flatbreads we bake in the wood fired oven, we recognised everyone’s achievement by presenting certificates. 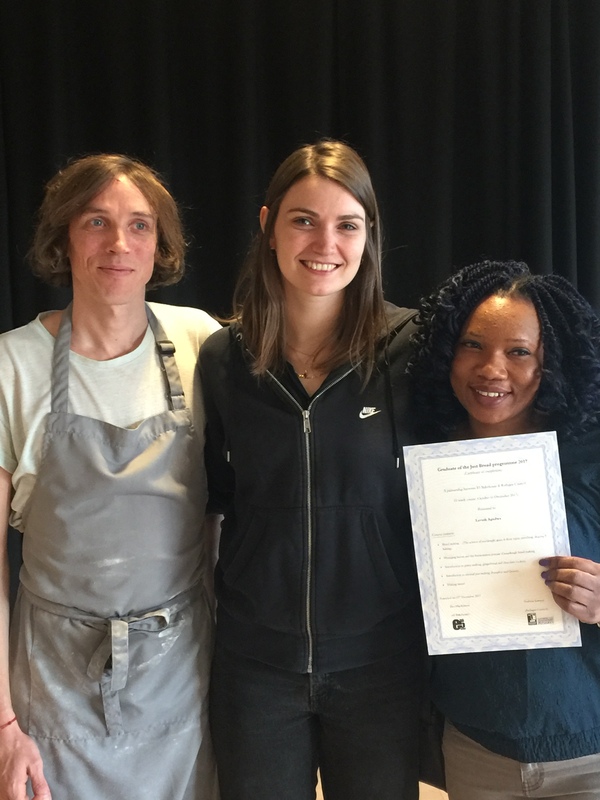 Each person was given their food hygiene and course graduation certificates. We also decided to give a gift of baking items (electric scales, banneton baskets, mixing bowls, scrapers, bread baking books, bread themometres, etc.) which would allow all of the women to continue their baking at home. It has been such an enormous pleasure to have met and worked with such amazing group of inspiring and wonderful women. We are always blown away by their resilience and positivity despite everything they have been through and the challenges they continue to experience. We love you all. Instead of being sad to be saying goodbye we decided that we would get together for yet another Just Bread celebration bringing together as many of the graduates from previous courses as we could. We will keep you posted. 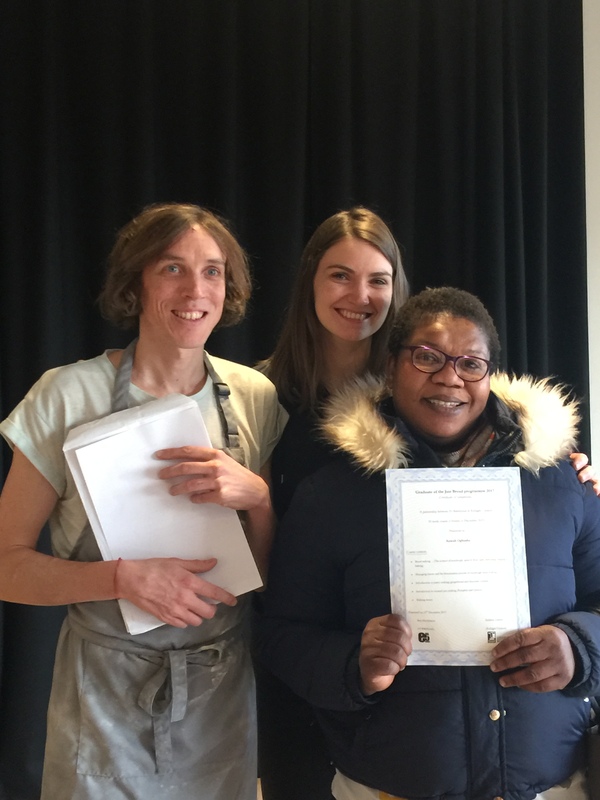 We’d like to take this chance to thank Creating For Good who supported us during this course and raised funds to allow us to deliver the training. We are enormously grateful. We’d also like to thank all of you reading this for supporting us and following our journey. Please keep in touch.